"My work makes long-term significant changes to their lives, which allows them to achieve more than they thought possible." For business owners needing to streamline their office and increase productivity, Create the Space offers the services to help. 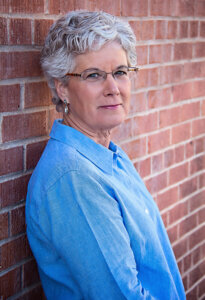 Founder and business efficiency expert, Nancy Nemitz, specializes in workplace organization and space optimization. She teaches her clients how to reduce clutter, manage time, set priorities, communicate effectively and create functional working environments. Nancy’s background in business management allows her to see the problem from the employer perspective, but she also understands there is no one-size-fits-all organization method for companies. She calls on her training and experience to find the right solution for each individual situation, whether it involves a complete revamp of current systems or simply a few adjustments to reach maximum efficiency. Her unique experiences, such as walking across Spain or completing the Waikiki Roughwater Swim, have taught her how to connect with people during life’s challenging moments. Since 2004, Nancy has been a successful productivity consultant and guide for a variety of clients dealing with their own individual challenges. She is also a motivational speaker and educator who focuses on helping people find greater work/life balance through preparation and time management. By sharing her life experience, wisdom, focus, training and humor, she is able to provide practical, actionable advice that drives positive life changes.